Spirit Touch is a hands-on process to clear karmic patterns, & reprogram you energetically to fulfill the original Cosmic Blueprint for your life in the New Earth. Spirit Touch was discovered by Dean Price 25 years ago, & elaborated over the last few decades. 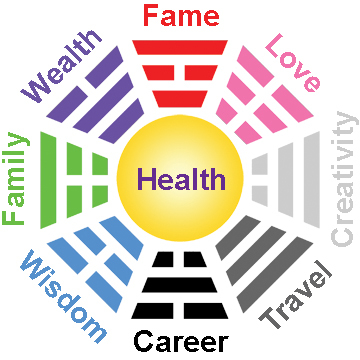 It allows you to directly re-program your energy centers (chakras) using Angelic Communication, Laying on of Hands, Astrology, Numerology, and Sacred Geometry, clearing the way for you to manifest your Highest Potential in each of the Bagua Zones of Feng Shui: Wealth, Fame, Love, Family, Health, Creativity, Wisdom, Career, & Travel. a reading he pulled in from Source: "Think about the joy of the promise of what you were given before you ever came here. For truly, you are a holographic miniature replica of the mind of the Cosmos." Planets in our solar system correspond holographically to our own Chakras, & in the exact same order - As above, So below! Planetary aspects in your astrology chart correspond to your original Cosmic Blueprint, as well as indicators of unconscious karmic patterns held in your body. Connecting energy centers with the hands in accordance with your astrology chart can release karmic patterns, & re-align you with the original Cosmic Blueprint, so you can actualize it at the highest level. "The day after having a session of Spirit Touch where we worked on my heart chakra, I had the opportunity to mend my relationship with my Dad, who I wasn't speaking to for 3 years. My relationship with my brother improved by the following week, and I also met the girl who I believe is my soul mate. I could see how Spirit Touch was so powerful!" ~ J. E.